'Genius' is a word not bandied about in the car world quite as often as in those of Art and Science. But automotive design, of course, straddles both disciplines. At any rate, someone to whom the label certainly has been applied is Colin Chapman - founder of Lotus Cars. As enigmatic as the day is long, Chapman was controversial in the way only the truly single-minded can be. What was never in doubt was that Colin Chapman lived and breathed Lotus! The Esprit prototype was styled by Giorgetto Giugiaro. It was a futuristic fantasy, in glass-fibre - albeit one that was built in rural Norfolk! Technically, too, the Esprit impressed. 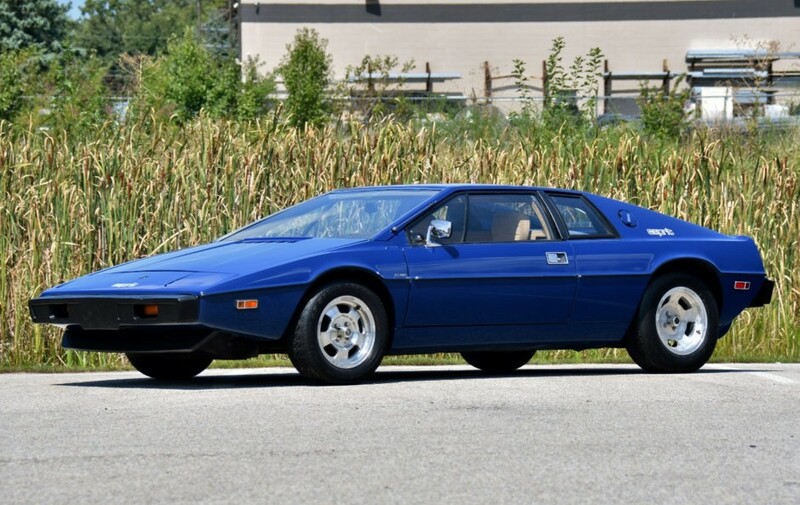 Its two-litre, four-cylinder engine performed well - and its central, load-spreading location meant the Esprit handled, too. Colin Chapman's maxim was to create cars he himself would want to own. In the case of the Esprit, he was not alone! A supercar of its day, it was 'head-turning', to say the least! Seizing the Zeitgeist by the scruff of its neck, the Esprit summed up the '70s. Its styling teetered on the brink of kitsch - then backed up in the nick of time! The Lotus Esprit was glamorous, mercurial, and a class act, to boot ... rather like Colin Chapman, really!